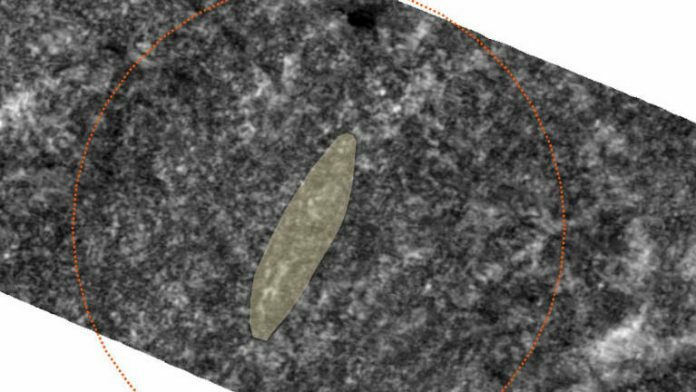 Traces of a buried Viking ship have been detected in a burial site in the Vestfold county in Norway. The rare discovery, which has been declared a “historic” moment, was made in a grave in Borreparken and could shed light on the skilled navigators’ expeditions in the Middle Ages. Archaeologists say the area where this ship has been discovered is a region of Norway rich with Viking treasures. But the latest discovery — about 100km south of Oslo — suggests the site is a ship burial on land that served as a tomb for high-ranking individuals. While archaeologists have no plans to unearth the ship, they will be using tools and methods to learn more about the wreck and further understand the Viking culture’s rituals. “It’s not every day we find a new Viking ship, so this is really exciting,” local Vestfold County Governor Rune Hogsnes told reporters. The radar images reveal a “boatform” believed to be at least 15 metres long, but it’s unclear how much of the vessel has been preserved. “It is not yet possible to answer how much it is preserved under the peat,” Terje Gansum, section manager for cultural heritage in Vestfold county, said. Seven ship burials have been registered in Europe dated to the Viking Age (AD 800-1050), and three of them were located in Vestfold county. In October 2018, a longboat was detected about 50 centimetres underground in a tumulus (burial mound) with the use of a ground-penetrating radar. National Geographic reports archaeologists had thought any remains in the local fields would have long since been destroyed by farmers’ ploughs. But this survey using ground-penetrating radar found evidence about eight more large graves — some 27m across — as well as the outline of the 20m longboat’s hull. “We need more discoveries to explain what these boats looked like and how the Vikings would sail,” Knut Paasche, an archaeologist at the Norwegian Institute for Cultural Heritage Research (NIKU), told AFP.